In a dystopian future ravaged by a zombie virus, teenaged Flo dreams of becoming a hunter. Instead, he becomes infected, and while plagued by hunger, he is able to control his urges. Hoping his life can still hold some meaning, Flo agrees to travel with hunters Hulme and Dihr, and he discovers a world unlike anything he imagined. On the continent, people are struggling to hold back the apocalypse by finding a cure to the disease, and Flo might be the key. But friendships and trust are tested as the trio crosses hostile territory and faces dangers beyond the zombie infestation. In the end, only Flo can decide if he can live with what he’s become. Palate cleanser. Occasionally I crave a neutralizer; something to remove any lingering flavors and give me a fresh start. It’s true that frame of mind can transfer from one book to another. I read primarily romance and every once in awhile I need a reset button release. This was a great book to do exactly that. So, let’s be clear from the get-go…this is NOT a romance. It’s not even close. It’s classified as gay, but I’m not certain that is a fair categorization because any notion of sexuality is merely a blip on the radar. What it IS is a great paranormal adventure. It’s also YA or New Adult. It scores fairly high on the gore-a-meter, but it’s about zombies so I expected that. It’s always a gamble with a new author and I was impressed with Thompson’s ability to weave a complicated world and despite the heavy world-building I think it was quite nicely balanced. It was slow reading for me (felt substantially longer than the 250 pages), however it was entertaining. Flo lives in a world decades after The Before time period. He is nearly eighteen but he has lived a hard life. In general, life is harder for those that survived the apocalypse. Born into a family of farmers, he has perfected the skills of a good shepherd boy. He alternates the chore of herding the flock with his brother. Besides his mum and brother he has his beloved dogs. The best two friends he could ever ask for. Before the passing of his father, he secretly dreamed of becoming a Hunter. Fighting was a life skill that his father taught him well, and he could do more than hold his own. Tragedy forced him to quickly dismiss his hopes and settle into his responsibilities. His family needed him and family always comes first. He stumbles across a man desperate for help and during his rescue, his biggest nightmare comes true. He’s been infected. Blood transfer has only one result. He will turn and he will turn within the week. Before this wannabe Hunter becomes the Hunted, he is determined to pass on his flock to his brother. He is already dead, but he will do anything to achieve this final goal or last gift to his family. The Hunter he saved, Hulme, has more than a few secrets of his own. He promised to help Flo and more importantly, stop him if he’s unable to complete his final journey as himself. Hulme’s companion Dihr joins them on the quest to the continent. Every day brings more changes and even more challenges. Soon he realizes that things aren’t always black and white and he’s not prepared for his unfortunate position in the gray. Things take a sharp turn and the story spins in another direction. It was unexpected, blood-spattered and utterly strange. And extremely entertaining. But the ending was frustrating, unsatisfying and a bloody cliffhanger. While the set up for the next course of adventures sounds promising I wanted a bit more solid conclusion. As irritated as I was, I gotta admit, I’m pretty eager to find out what happens next. An adrenaline filled voyage without a joyous destination, but I’m grateful for hitching a ride. 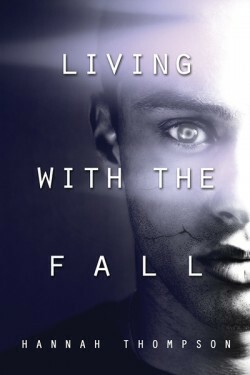 This entry was posted on August 14, 2015 by Sheri in PNR / UF / SF / DYS, Reviewer: Sheri, YA / NA and tagged 3.5 Stars, Dystopian, Paranormal, YA, zombies.